WELCOME TO OUR WINE-TASTING CELLAR! Our wine-tasting cellar is open all year. 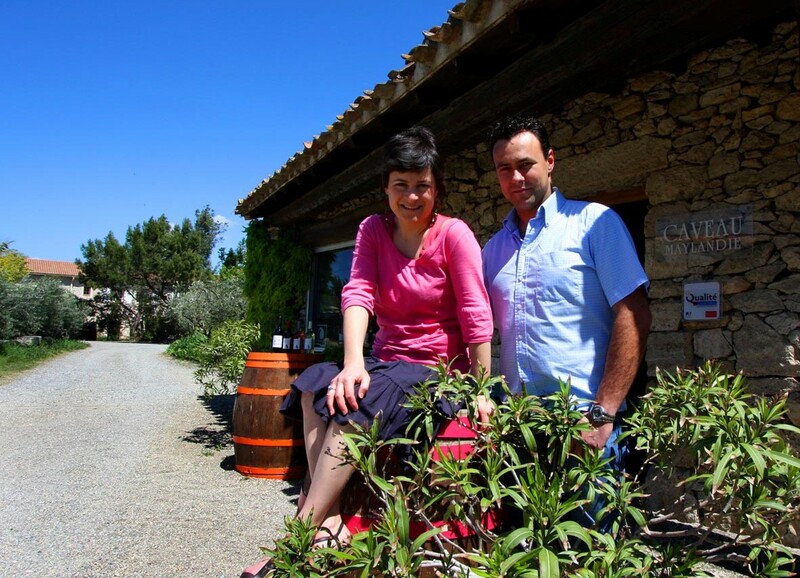 However, in the low season, we advise you to make sure that we are here by calling us at 0033 4 68 43 66 50 or 00 33 6 61 93 01 33 (Delphine Maymil, wine maker). In addition to our wines in bottles and bag-in-box, you will find at our wine-tasting cellar some regional products (tapenades, oils, honeys, canned goods) and a tourist information point. Our wine-tasting cellar is located at the entrance of the domain and is easily accessible: 18, avenue de Lézignan at Ferrals-les-Corbières (11200) just 3 minutes from the motorway exit Lézignan (A61).